DEISEAL were commissioned to develop strategic creative concepts and pathway marker features for this important heritage site. This work was carried out in conjunction with the design team of DeJong Associates, Limerick. 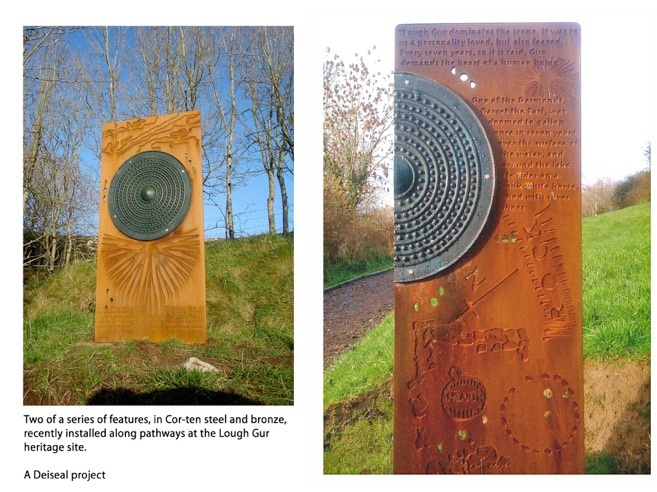 New pathways and viewing areas have been created and DEISEAL’s sculptural works were installed in 2008. Two groups of sculptural features, all approximately 6m in height. 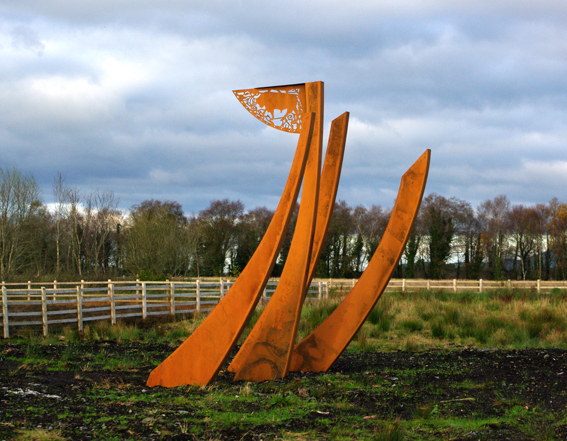 'Shannon Fleets 1' is located on the M7 motorway, close to the River Shannon to the north-east of Limerick City. 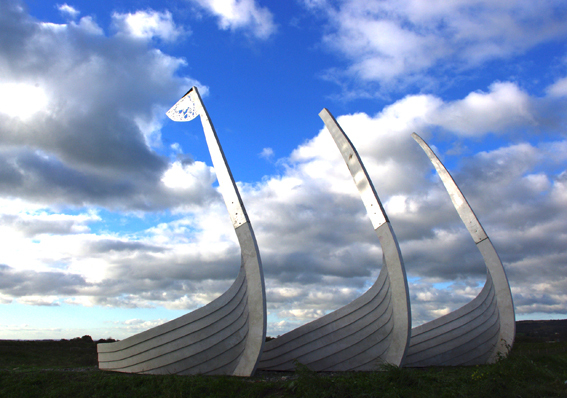 It references the founding of the city by the Vikings, and includes symbolism referencing recent Irish coinage as well as other associations. The material - Corten steel - develops a rich orange protective patina and helps ground the pieces in the bog-land setting. 'Shannon Fleets 2' is located at the exit of the new River Shannon Tunnel, to the west of Limerick City. The material composition - white concrete and stainless steel - ties in with the nearby motorway/tunnel infrastructure. 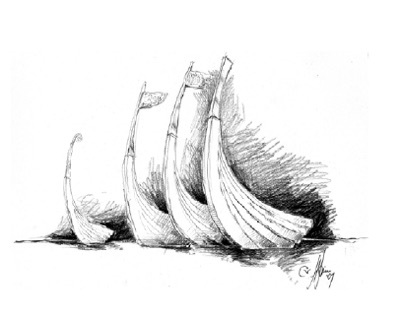 As with the other group, Viking ships and Irish coinage symbolism are fused. providing both timeless and contemporary commentary.